Electronic charts are digital versions of the traditional government-issued paper charts, and all the data used to make them comes from the original National Oceanic and Atmospheric Association (NOAA), Canadian Hydrographics or other government sources. They can be displayed three ways—on a chartplotter, smartphone or computer. Waterproof chartplotters are the favored technology for boats smaller than 40-50 feet. A tablet, laptop or desktop PC is a common choice on larger craft, where a pilothouse provides a drier and shaded environment for a delicate, non-waterproof computer. A PC is frequently used for other non-navigation purposes as well, has a larger (but not daylight-viewable) display and can run the most powerful navigation software. Prudent mariners also carry paper charts since electronic charts are not a substitute and all electronic systems are subject to failure. Electronic charts simplify navigation tremendously; they show your location in real time on a dynamic map, and make planning a route effortless. They are formatted two ways: Raster scanned charts, like those from Maptech, are direct video images of paper charts. They are faithful copies of the paper versions, with all the detail of a paper chart. 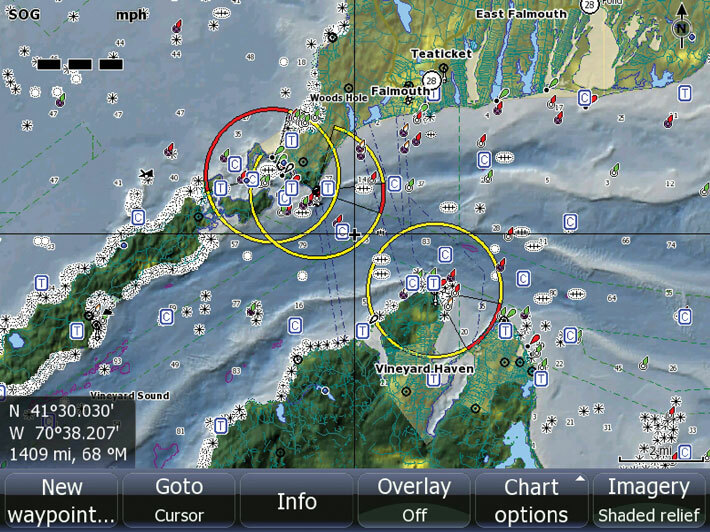 Vector charts, like the products from Garmin, Navionics and C-Map have the information transformed into coordinates in a data file, placed in different layers in the memory of the machine. You can filter out layers you don't need at the moment and see only what is needed, and the data is compressed to take up less space. Icons, numerals and words appear in a “heads up” orientation. Vector charts are “object oriented”, so when a cursor is positioned over a navigational aid or other feature, additional data windows pop up. Electronic charts for chartplotters come on microSD memory cards that are inserted into the GPS unit with the chart information downloaded from a PC. Because memory is limited, you will have to choose the correct geographical coverage for your boating area. All electronic chart manufacturers have mapped outlines of their coverage areas to help you choose the proper cartridge for where you use your boat. You have to select the brand of chart and generation of product that fits the chartplotter you own or are considering. For example, Garmin units operate Garmin’s BlueChart g2 products. Most Raymarine, Navico and Humminbird plotters run Navionics. 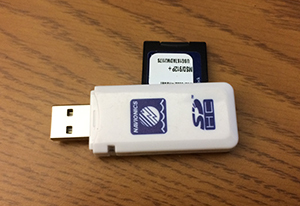 Update your charts, step one: To update a Navionics chart using their Freshest Data program, you remove the MicroSD card from your multi-function display, and place it in this card reader. It is not surprising that a PC has become the ultimate navigational tool, especially for big boat and offshore navigation. Navigating with a laptop computer allows you to apply its formidable processor, extensive RAM and hard drive capacity to run the software with the greatest range of capabilities. Recent changes in the costs of domestic charts have made it much more cost-effective to have the US coverage that you need, assuming you’re navigating with a PC and with software from Rose Point, Raymarine (their LightHouse II downloadable charts and user interface), or Nobeltec. 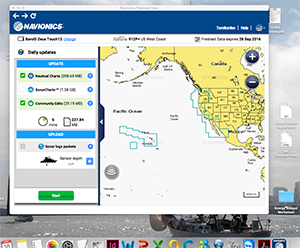 Now anyone can download current vector or raster charts from NOAA and cruise American waters. The same is not true with International destinations, since the concept of Public Domain is not a worldwide concept. See: NOAA Nautical Chart Catalog and Chart Viewer. 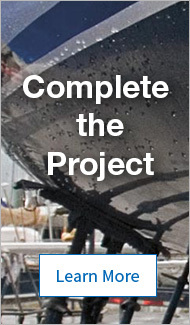 Most boaters carry official NOAA paper charts and also use electronic navigation, but only a small percentage of recreational boaters keep their e-charts current by updating them regularly with the accumulated weekly Local Notices to Mariners (LNMs), published by nine US Coast Guard districts. These LNMs provide critical safety info about sunken vessels, shifting shoals, buoy changes, missing navigational aids and other safety hazards. While your paper charts may become dog-eared and smudged, alerting you that it’s time to purchase a replacement, your out-of-date electronic chart will look brand new, and you might just end up on a sandbank (or worse!). Recently NOAA organized a group of boating safety leaders called the Alliance For Safe Navigation to address this problem. They surveyed over 7,500 recreational boaters, and found that an alarming 64% of boaters are navigating with out-of-date charts. “Recreational boaters, unlike commercial mariners, are not required to carry nautical charts,” explains Captain John Lowell, director of NOAA’s Office of Coast Survey. “We are sponsoring this new nationwide educational effort because we want people to understand that NOAA’s nautical charts are easy to find and easy to use. By using print-on-demand paper charts or multi-functional electronic charts that are updated by NOAA cartographers, people have a better chance of avoiding potential groundings and other accidents.” For more on this, check out www.allianceforsafenavigation.org. Keep those Navionics, Garmin and C-Map charts up to date. To help with this, Navionics offers a new program called Freshest Data, which allows you to receive one year of free weekly updates to your Platinum+ charts. You can simply receive weekly Notices To Mariners and other changes using your home computer.